I've seen these pics flying around the net and wondered if anyone has anymore info as to specifically where they came from and who found them..... I'd love to contact these fellas and get a sample of this giant edible if possible! Supposedly they're from around Chiapas Mexico, near the border of Guatemala..... But I haven't been able to find the scientist/organization/university's name(s). i hope my cubes get that big haha...looks delicious! where's Rev with his cubie-version of that pic?? Macrocybe species, probably Macrocybe titans. It is cultivatible as are other species of Macrocybe. I have been attempting to acquire a culture for awhile and attempts with spores are so far failed. Good luck! These pics were taken and the shroom found by scientists according to this article. An anaylsis for identification of toxic compounds and suitability for eating was done and the results shown by T. Stijve in the swiss journal Mededelingen, 2004 (No. 3) 93-94...... I've also got his mailing address. He says they're good eatin! This was a pretty recent paper however, and lots of other sources still say that noone knows whether or not they're edible. A live culture of this shroom is easily obtained workman, assuming you can throw down some $$$ I know you're probably aware of this but PM me if you'd like a few pointers as to where one could be found. 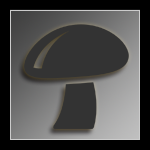 Does anyone have some information or material of how to grow/cultivate this shroom ? Sorry my bad english, i´m from Santa Catarina, Brazil, close to Parana. Anyone know where one could acquire spores? 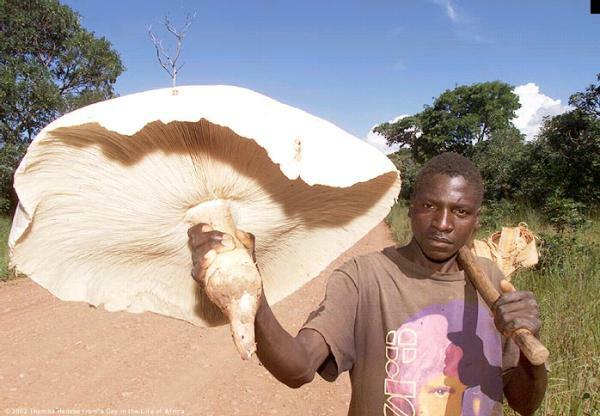 There are even bigger shrooms than those that are culivated by Termites in Africa and other regions of the world know as Termitomyces titanicus. Also There is a paper in my files by Dr. Tjakko Stijve on the cultivation of Macrocybe titans. 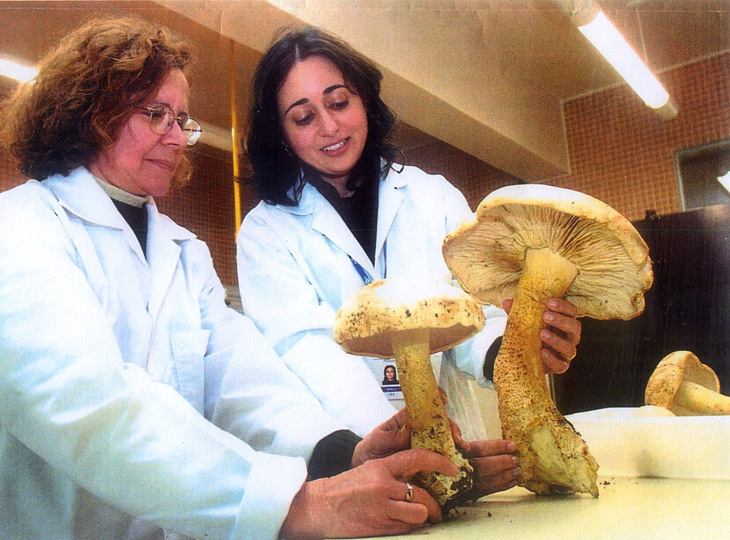 The photo directly below of the titans variety grown in vitro is by Dr. Tjakko Stijve from 2004 of the same mushroom you poted an image of..
A diferent paper on the termite shrooms. 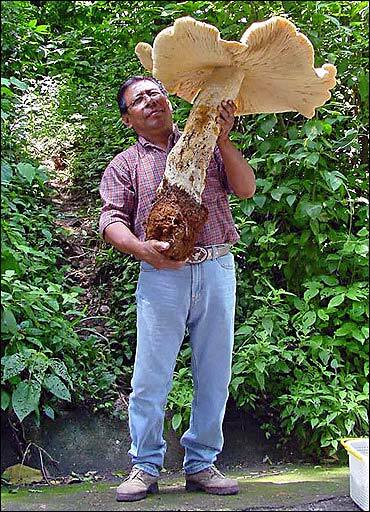 One colony in Mexico is also known to cultivate a magic species as wella s the edible variety. an Insect – Fungus Symbiosis. placement of Termitomyces in the Tricholomataceae. of fungistats and diligent weeding ensures that only Termitomyces grows. 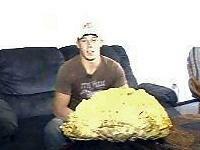 one of the world’s largest mushrooms, Termitomyces titanicus. While T.
cap of T. titanicus is known to commonly reach 1 metre in diameter! hey dont do that. termitomyces are delicious and they grow huge, right off a termite mound, just after thunder storms. there are many spp but the one called ikowa or t.titanus - or whatever is the tastiest imo, the texture is much like steak. 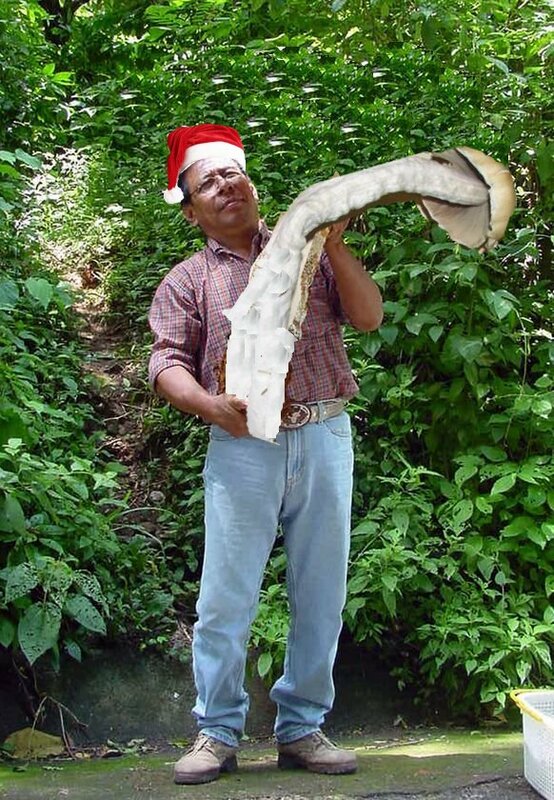 One colony in Mexico is also known to cultivate a magic species as wella s the edible variety. Which magic species do the termites cultivate? A 56-pound mushroom found on a tree in Missouri is likely the largest ever found in North America, according to a report. Ty Whitmore found the giant fungus in Maysville, near Kansas City this week. "I was out there cutting down some trees and I noticed something out about a 100 yards in front of me," Whitmore said. "I was wondering what it was. And ah, I end up getting curious and walking down the creek and I was like, 'Oh my God, it's like a huge mushroom. 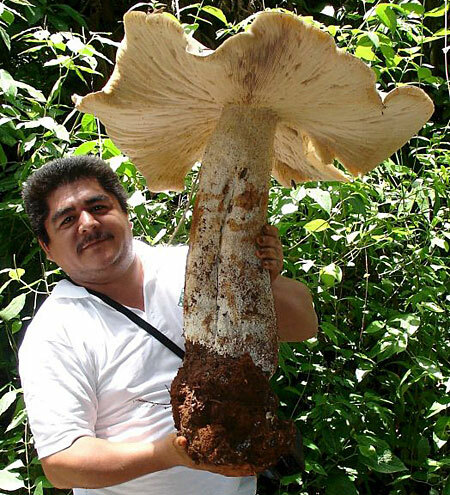 '"After showing the 3-foot wide mushroom, professors from around the country have told him it is the largest ever found on the continent. "I took it in and weighed it and it ended up weighing like 56 pounds and I thought, well this is pretty big," Whitmore said. "So, I started calling around and the next thing I know I got professors from Florida calling me and from Wisconsin telling me this is like a world-record mushroom. "He said someone in Wisconsin offered him $50,000 for it.Watch Local 6 News for more on this story.